L. Furius Brocchus was one of the moneyers for the year 63 BC. He is not otherwise known. Babelon has suggested that the head of Ceres refers to the grain distributions conducted by the plebeian aediles. The curule chair and fasces, however, indicate the curule, not the plebeian, aedileship. The head of Ceres and the grain symbols may refer to the largess that Brocchus would have provided to the public had he served as plebeian aedile. 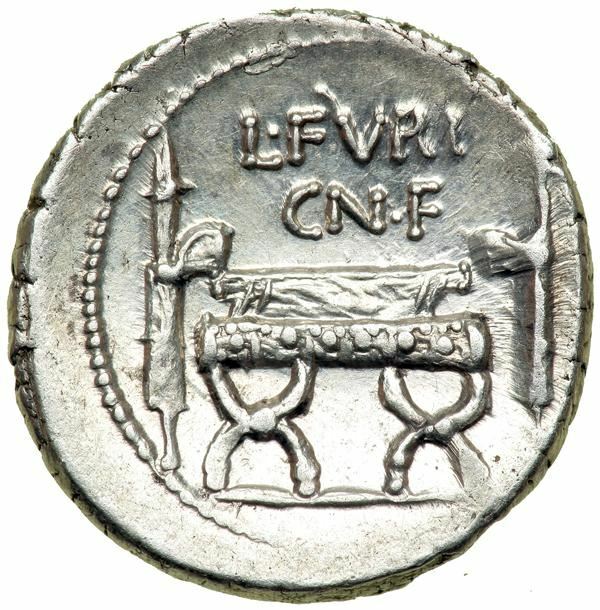 The curule chair and fasces probably refer to his actual service as curule aedile.